Early Spanish readers are more fluent and successful when they can hear, read, and manipulate Spanish syllables. With this research in mind, we updated the Spanish Word Wall games (Muro de palabras). Now, the games begin with interactive syllable tiles. Children work through a research-based progression as they complete these games that can be found in Levels 1 and 2 under Mis Juegos, Trabajo de palabra. The Muro de palabras game is carefully designed to develop a child's awareness of syllable patterns. Because vowels are presented in a red font and consonants are presented in black, children can see and hear patterns unique to Spanish as they manipulate sounds to make open and closed syllables in words. In Level 1, every book in the ALPS series includes a Word Wall game to help develop early literacy for emergent readers. 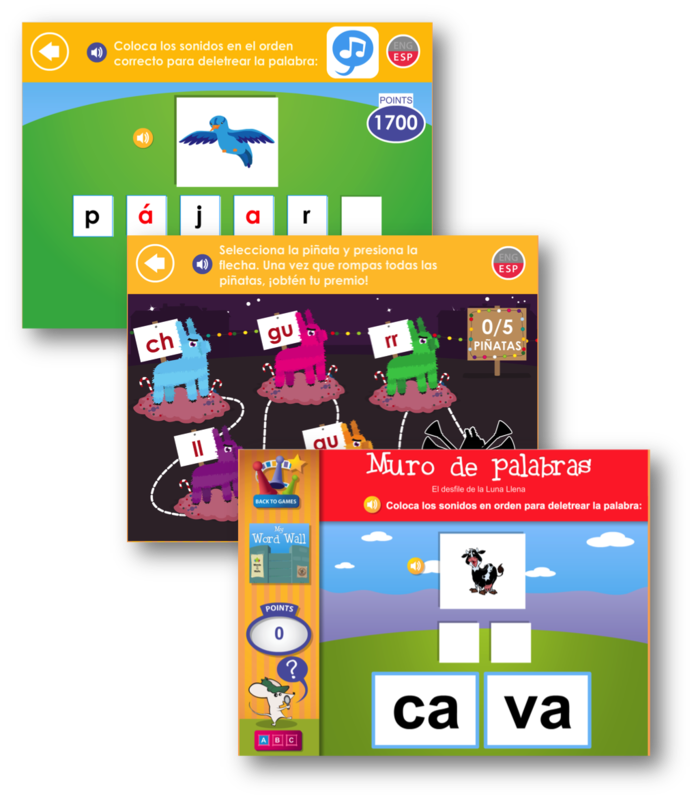 We updated the Spanish games here to focus on open syllables so that emergent Spanish readers are building a solid literacy foundation. Because the ALPS series is focused on vocabulary, we made sure that all of the words children build relate to the theme of the book they just read. Beyond working with Spanish syllables, children need practice hearing isolated letter sounds and associating those sounds with their most common letter(s). In fact, this skill is critical to being a successful reader. 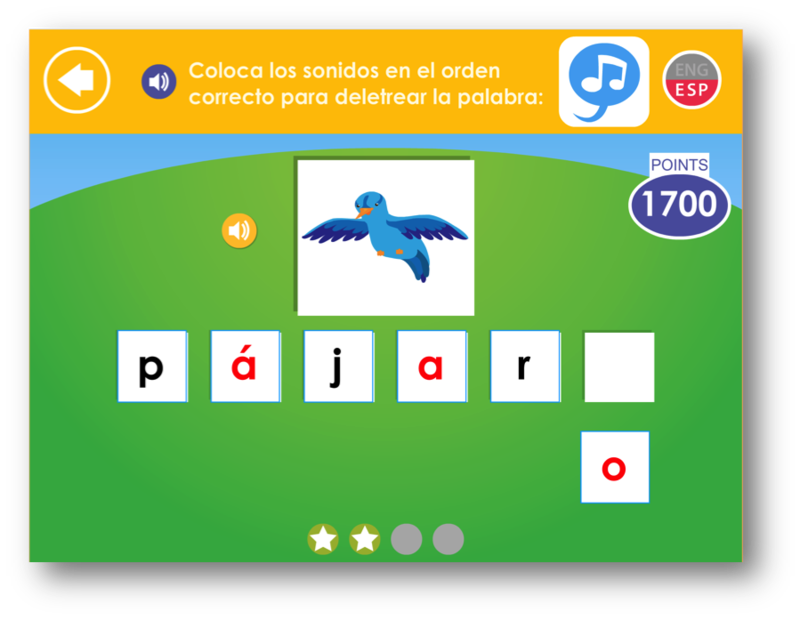 In order to support our dual language learners, we updated Conecta la fónetica (Funny Phonics) in Level 1 to include the sounds for all 27 Spanish letters along with a few Spanish digraphs. 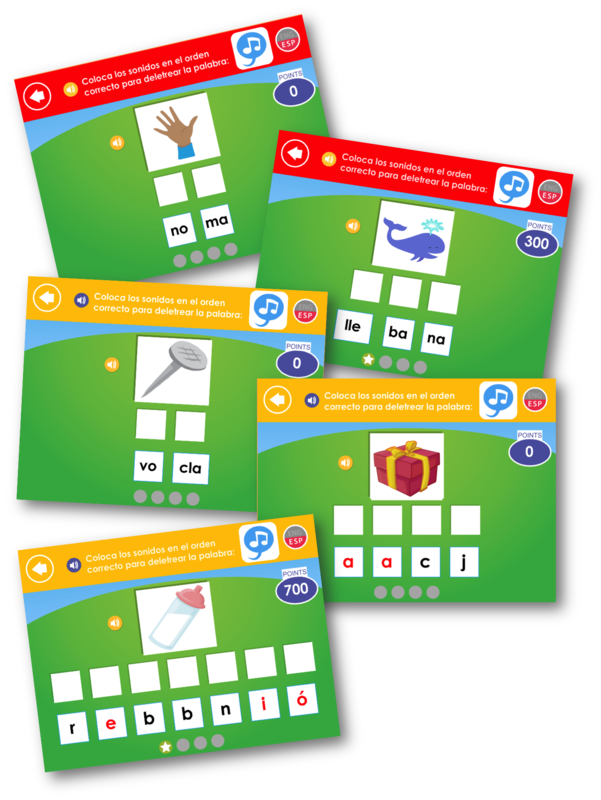 For complete Spanish digraph practice, we introduced a brand new game called ¡Fiesta Fónetica! (Phonics Fiesta) in Level 2. 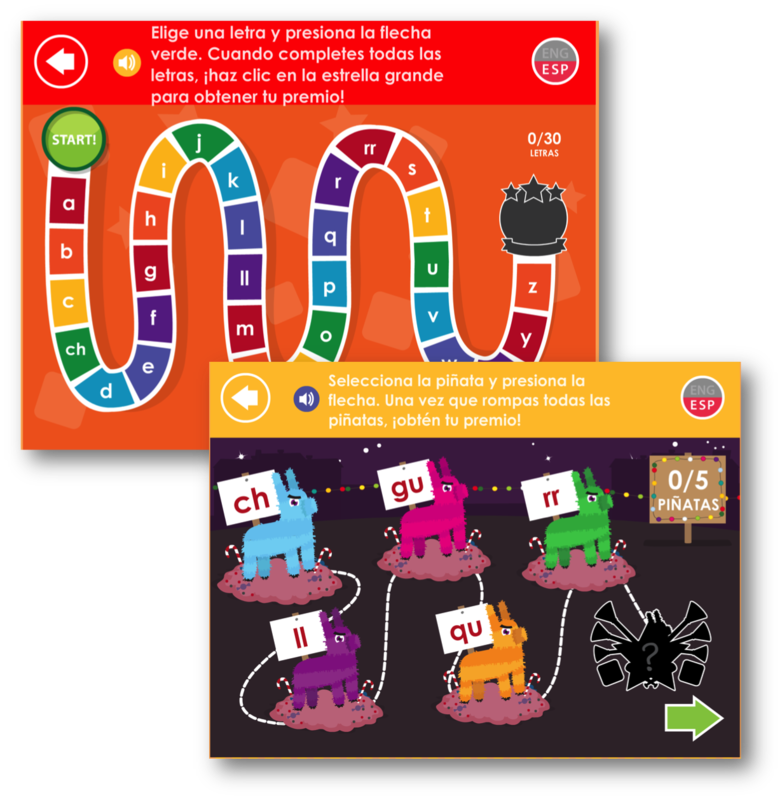 When combined with the rich natural language, vocabulary development, readiness skill development, and phonological awareness games, we believe these new and updated games offer an excellent complement to any Spanish literacy program. We invite you to toggle over to Spanish and explore! Posted in Early Learning Technology, Product Update and tagged early literacy, footsteps2brilliance, phonics, Spanish.